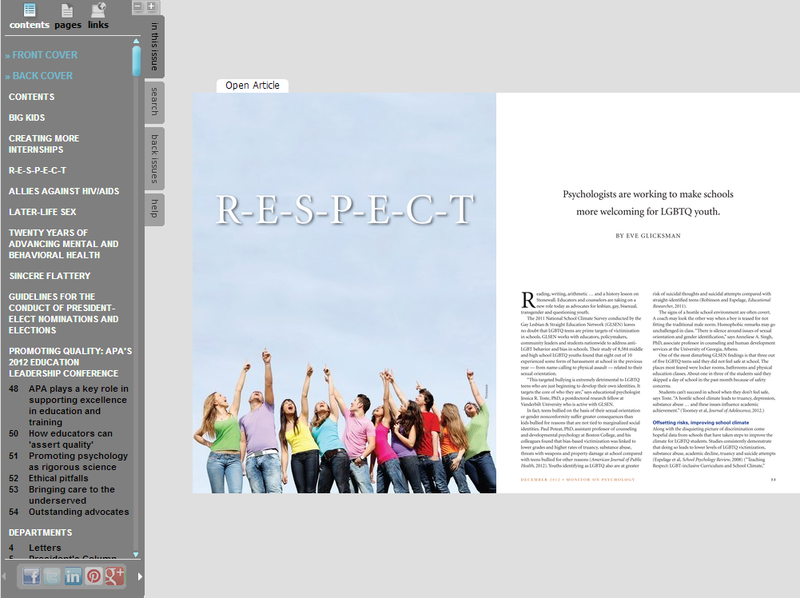 My favorite thing about all this is that the APA Monitor seems to kind of sort of get that bullying isn't healthy for children, because in the same issue they ran an article titled R-E-S-P-E-C-T with the tag line: Psychologists are working to make schools more welcoming for LGBTQ youth. Because, you know, bullying is bad and welcoming is good and the APA cares about children and their psychological health. And they illustrated the article with a picture of (presumably) LGBTQ youth looking happy and awesome. With socially-acceptable body shapes and sizes. And conventionally attractive, conservatively dressed, and outwardly conforming to gender expectations. But the important thing is that for a very small subset of LGBTQ youth, psychologists are working rilly-rilly hard to make sure they're bullied less. While still maintaining a culture of bullying that makes it seem perfectly acceptable to illustrate an article about fat children with not one but two pictures of guilty-looking fat children being acceptably downcast about the horrible blight on society that they clearly are just for existing. 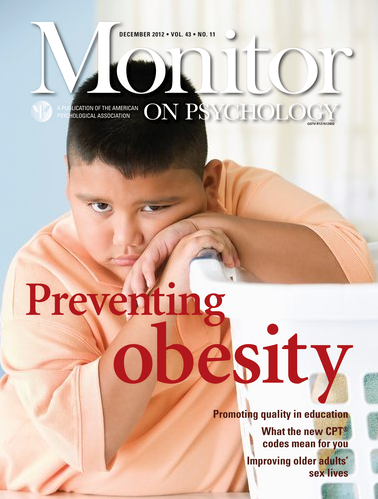 So I guess the APA Monitor isn't big on irony. And just to get the awful fat hatred taste out of your mouth a little, here is a picture of Queen Latifah and Nikki Blonsky looking fat, happy, and awesome at the Hairspray premiere.